i simplified for a school night and managed to use up another big chunk of the Easter ham that’s been in the freezer since, well, Easter. boil pasta. 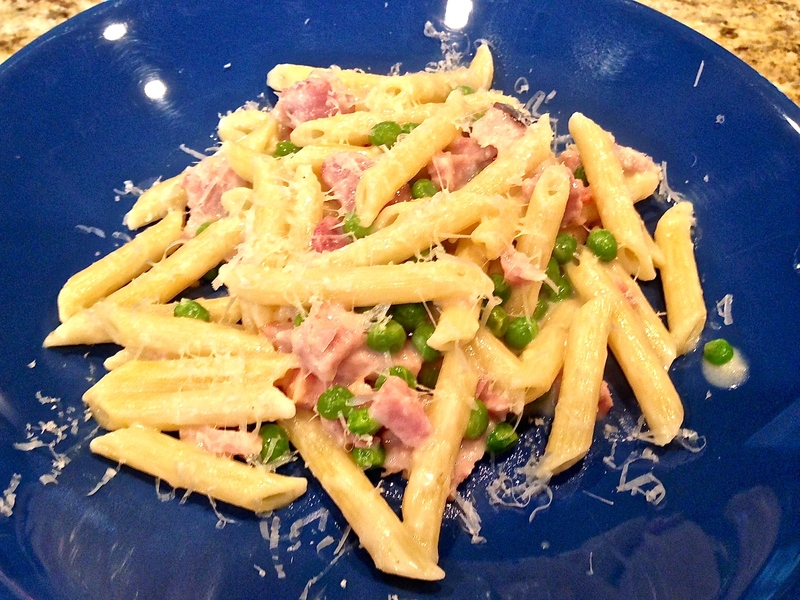 warm up sauce, ham and peas (and mushrooms! ), then toss with pasta and serve with a bit of grated parmesan on top. ready in about 15 minutes—start to finish—which is much more on my timeline for a week night! i’ll have to try the real version at some point, but for a Wednesday night, this’ll do just fine.